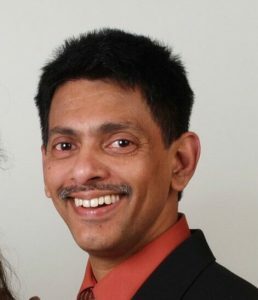 Partha Mallikarjun has more than 25 years of experience in leading, managing and delivering technology and process improvement projects in the Information Technolofy space. He has worked in Retail, Finance & Banking, Telecom and Healthcare sectors. As a Quality Assurance & Process Improvement Lead, he was part of a strategic team that innovated the Agile SDLC framework within a highly regulated GxP environment. He worked with team leads to define and analyze pain points and recommend a radically different approach. This resulted in significantly reduced delivery cycles from 6 months to 6 weeks, and subsequently, increased client satisfaction. He has worked on technology projects and used Lean Startup and Design Thinking elements and principles to drive and transform process and project delivery and ensure they add value. His critical thinking and attention to details ensures that he brings a completely different perspective to the process improvement initiatives that he has been associated with. He is always on the lookout for areas that can be improved and innovated, be in the workspace or outside. He has been part of the South Brunswick Township’s Transportation Advisory Committee which applied brainstorming and out of the box thinking to recommend repurposing the shoulder as a travel lane during rush hours. This radically improved travel times and speed within the Township. He has significant expertise in Iterative, Agile and Scrum methodologies and transforming organizations from waterfall to a more Agile approach. He has a keen interest in environment, sustainability and social innovation: he co-founded the Citi Warren Campus Green Team. Some of the certifications he holds are Innovation 360 Licensed Practitioner, PMP, Lean Six Sigma Green Belt and Lean Startup.